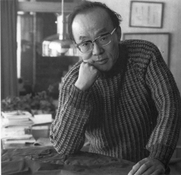 Shusaku Endo (1923 – 1996) was a highly acclaimed Japanese novelist who belonged to the Christian faith and was therefore in a member of a minority in Japan. His writings are all a vehicle for his faith, but even if you are not a believer, his writings in my opinion are always compelling reads, touching pieces of great sincerity and insight into the human condition. Just as tributaries of a river converge into one , so Endo brings together the spiritual journeys of 4 Japanese tourists as they undertake a tour of India in the last days of the reign of Indira Gandhi. Kikuchi’s story of how he survives WW2 retreat of the Japanese Army from Burma along the Road of Death thanks only to the actions of a comrade in arms makes quite an impact on the reader. In a mistaken understanding that India is mainly Buddhist, he wants to perform some Buddhist rituals for his fallen comrades and for their enemies because this comrade’s actions had haunted the comrade all his life, leading to alcohol abuse, hospitalization and his eventual death. But not before he received comfort from a European Christian volunteer at the hospital. Izube’s wife has recently died of cancer. He’s a typical middle class Japanese manager. Throughout his marriage ha has taken his wife for granted and is surprised by her passionate deathbed plea that he re-find her when she is reborn It is this search that takes him to India. His search takes him to remote Indian villages, beggar children and fortune telling charlatans. Mitsuko thinks she is incapable of loving another. At college she rebelled and led a wild life and now has a failed marriage behind her. At collage she goaded on a young naive boy, Otsu, who she seduces. Otsu is deeply religious and Mitsuko tries to break his attachment to his faith. She fails and he enters the training for the priesthood in France. She encounters him again there during her own honeymoon, and again years later in Varanasi on her India trip. He has been flung out of the seminary for his radical belief in an Asian Christianity but is still strong in his faith and works to ferry the bodies of the dead who have no money to the river and the still living, but dying to the free guest houses of the town where Hindus come for rebirth. SPOILER - Their stories are tied together by the trip, which comes to its finale through the silly actions of their fellow traveller Sanjo, a young photographer. With backdrop of the murder of Indira Gandhi by her Sikh bodyguards, the tensions of multiple faiths, languages and cultures clash in India itself and within the tourist group. 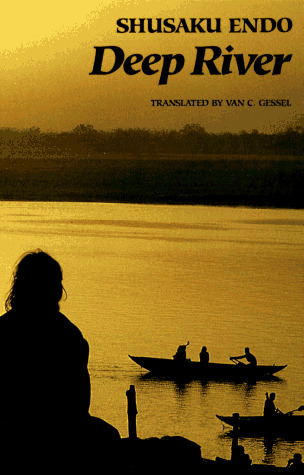 By their actual journey and their spiritual one, each of the book’s characters confront the ambiguities that are Indian culture, its castes and its religious believes, its perception that good and evil are intimately intertwined just as the dead bodies flowing in the Ganges are part and parcel of the same belief system that has people washing on its banks in the hope of rebirth. Each character in their own way finds a moment of epiphany along the banks of the sacred river. Question: What price an education?